Sunglasses come in a variety of shapes, and our guide to matching your sunglasses to your face shape is a good starting point if you're unsure of which pair to purchase. While it's all down to personal taste, and any of our designer sunnies will make you feel and look like a star, it can't hurt to get the general consensus on which shapes suit which faces. 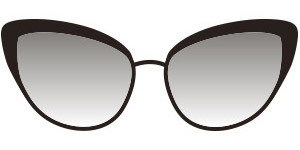 We offer designer sunglasses from the world's top designers, including DVF, Ray-Ban, Prada and Gucci. Here's a detailed look at every sunglasses shape available, their history and which styles they're best suited for. Originally developed for pilots to protect their eyes whilst in flight, aviators have made the crossover from functional safety item to fashionable must-have. Their vintage thin metal frames and kaleidoscopic reflective lenses are instantly recognisable. 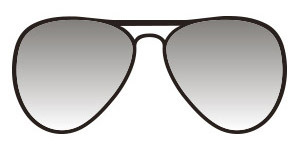 The adaptability and timelessness of aviators have made them one of the most popular choices of sunglasses in history. While originally developed by Ray-Ban, almost all designers now stock their own version of the Aviator. 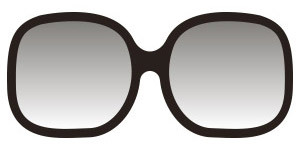 Prada was the first high-end designer to popularise the butterfly lens. They have a large surface area that covers the eye socket, meaning they offer better protection against UV rays. The structure of butterfly lenses is usually wider on the outside, but narrower towards the nose. Edgy, fun and playful, they offer a youthful alternative to more classic frames. A must-have among trendy festival goers, round sunglasses were first popularised by the most famous of The Beatles, John Lennon. Thinner round frames create a vintage vibe, while thicker round frames are a more modern and chic alternative. They say lightning doesn't strike in the same place twice, but Ray-Ban proved that theory wrong. Having already scored a hit with the Aviator, Ray-Ban also delivered the Wayfarer. 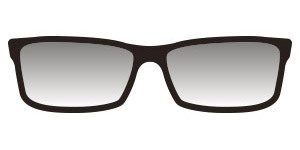 Developments in moulding technology meant that Ray-Ban could move away from metal frames and offer a more modern shape of lens. 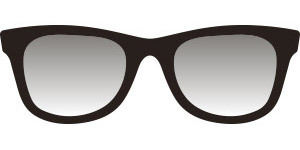 Wayfarers have a square-like appearance with rounder edges that evoke a more casual appearance. Cat eye sunglasses perfectly embody the playfulness and sophistication of the '50s. Compatible with all face shapes, they range from daring and bold to gentle and graceful. 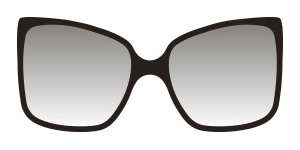 Cat eyes are identifiable by the outer curve of the frame, which flicks outwards like a cat's eye, hence the name. 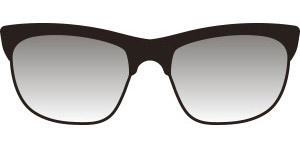 Square sunglasses offer versatility, classical style and above all, mystery. American Vogue editor Anna Wintour is famed for her dark square frames, which she wears to almost every fashion show she attends. 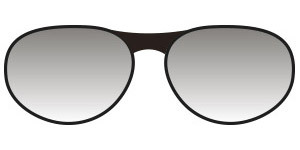 Square sunglasses will suit almost every face shape, but work especially well for those with round faces as they add angles and structure. Rectangle frames are a softer alternative to square. Far narrower, they pull focus towards the centre of the face, which makes them highly compatible with oblong and longer-shaped faces. They're available in a wide range of styles including retro, sporty, casual and vintage. Clubmasters have a very particular type of framing that separates them from other styles. The frame usually sits on the top half of the lens and does not wrap around the bottom half. While they may not get as much attention as some of the other shapes, they are still a great choice of frame, especially if you prefer to wear brighter colours. 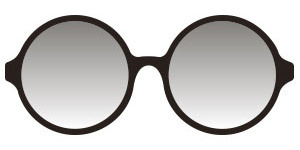 Oval frames have a rounded appearance, but are greater in width than they are in length, comfortably covering the entire eye for maximum sun protection. Oval lenses are perfect for every occasion – smart or casual - and look particularly stylish when the frames are thicker and one colour tone. Nail the care-free but classy look every time.